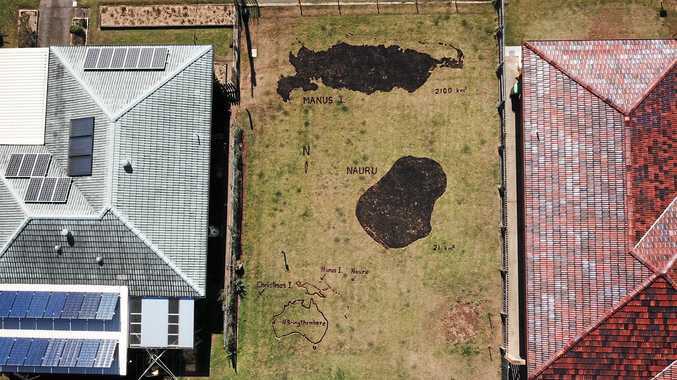 ARTIST Emma Wise has spent the past three weeks blowtorching giant maps of Manus and Nauru islands into the grass of a vacant block at 4 Sunway Pl in Ballina to create a striking outdoor artwork called Out of sight, Out of Mind In Plain Sight. The artwork aims to bring the plight of asylum seekers into public discourse. 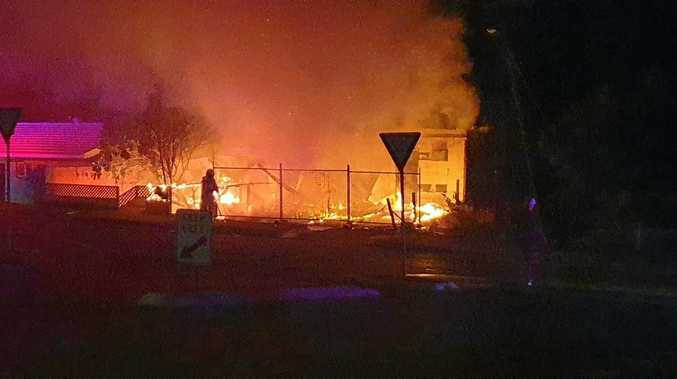 "Our governments have spent $4.89 billion so far on offshore detention, keeping over 3000 men, women and children in hopeless conditions on these remote islands - out of our sight and out of our minds,” she said. Ignite Studios @NRCG artist-in-residence Ms Wise often works alone on her large scale works but this time had help from the community. Members of Ballina Region for Refugees, local teachers' professional development group Raiders of the Lost Art, neighbours and those from further afield all helped upscale the islands onto the gridded block, a process that had everyone stretching their mathematical and geographical skills to the limit. 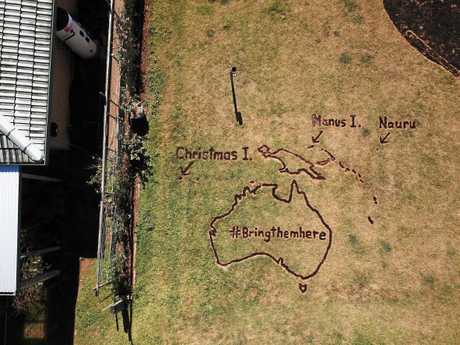 People were pleased to be able to do something that expressed their support for refugees. "Most people I talk to feel uneasy about what we are doing to these people, particularly the children. If we stop to think about it, we know that people desperate enough to leave their home and everything familiar, and brave enough to make the perilous journey here, both need and deserve our protection,” Ms Wise said. 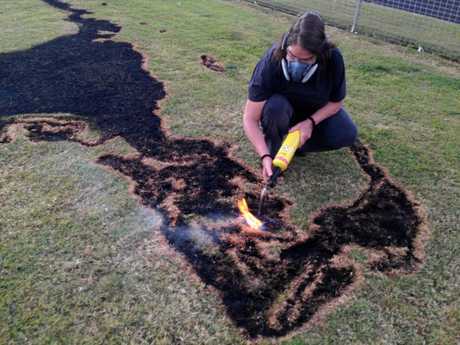 Ms Wise has exhibited nationally and internationally, and has won awards at a number of outdoor sculpture exhibitions including the Thursday Plantation East Coast Sculpture Show here in Ballina. She said that the best way to experience the artwork is to come to block at 4 Sunway Pl and walk around it. The block is open to visitors daily.